Two University of Chester graduates have launched a crowd funding campaign in a bid to perform a play based on the subject of dementia at an international conference. 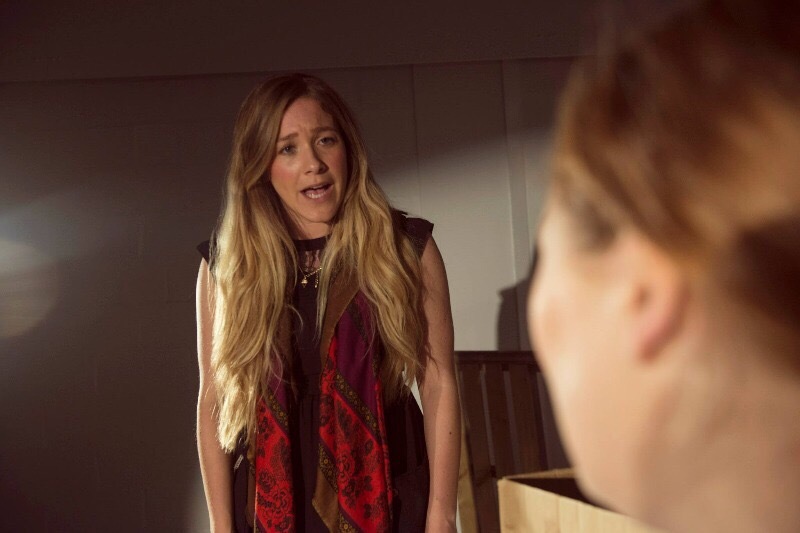 Hayley Riley and Louise Evans from Haylo Theatre have been invited to perform at the International Alzheimer’s Conference in Budapest on 22 April. Haylo Theatre specialise in drama that addresses life issues and they have written Over The Garden Fence, in which grandmother Dolly shares moving stories of her life with granddaughter Annabelle. To take the show to Budapest, Hayley and Louise need to raise £1500. They have set up a crowd funding account and have so far had pledges of £1073. Hayley said: “We are so excited! As well as an amazing chance to perform our work, we will also use the time to make international links and showcase how theatre can be used as an emotive way to engage people from all backgrounds. “Our play encourages conversation and engages audiences in the discussion of not only dementia but the importance of the individual behind the diagnosis. Louise added: “All donations to our Crowd Funder account would go towards travel, flying our set out, which comprises two fences, a suitcase full of junk and the all essential tea pot and our accommodation. “Dementia is a subject that is close to our hearts and if anyone could help us on this journey we would be so grateful. “All the stories within the play are real and we have been greatly influenced by our own families, in doing this we feel we have created a performance that audiences can relate to. “It took us a long time to get it to a point where we could begin to bring it to life and lift it off the pages. Writing the script together has been such a good experience. “We love what we’ve created, and hopefully other people will too. Moreover the story we are telling is all about family. It’s about love and memories, it’s about the stories we share as a family, from ‘do you remember that Christmas when…’ to ‘back in my day…’. “We’ve both invested many personal experiences into the play, and we feel that this is what makes our script endearing, emotional and yet comical. Haylo Theatre have performed in educational and theatrical venues and have been given funding from the Arts Council UK to develop the show for a future tour. They have also had the privilege of working with celebrated writer and director John Godber who has been very supportive of their work. Haylo Theatre have also worked with charities and industry professionals including, Age UK, Dementia UK, Reach, The Christie, Hospice UK and Educate. They have been invited to perform Over the Garden Fence at Dementia Congress alongside Educate (people living with dementia) for the last two years.